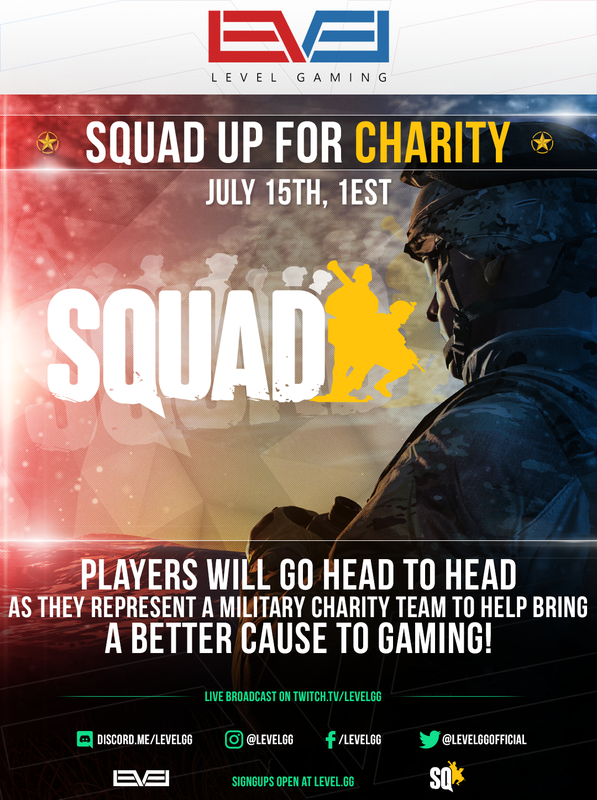 Level Gaming proudly presents the Squad Up military charity event! Our respect and involvement with military veterans has influenced our tournament to celebrate the men and women who have served their countries. We will be organizing, hosting and casting this charity event and we’re opening it up to every single member of the Squad community. Whether you’re a solo player, small group of friends or a large community, you’re all eligible to participate and land a spot on a team. Each team will represent a military charity of which you will fight for to bring home the largest portion of the donation pool to your charity team. Sign-up’s for the event will open July 4th. To ensure a slot, register on the website before the sign-up date. This is to determine how many charities we need to reach out to before the sign-up date. **If you’re interested in being a team captain, please reach out to the admin staff on discord ASAP so we can structure the leadership in advance. Matches: 1 map and 2 rounds (swap sides) Team with the most round wins (or most tickets in the event of a tie) advances.